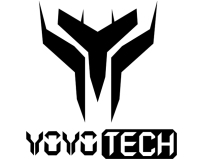 YoYoTech, the UK retailer who recently joined forces with Bit-Tech to offer you exclusive daily discounts and access to its support team through our forums, is this week offering discounts on an extensive range of storage products. Thumb drives, NAS boxes, hard drives and portable storage devices are all up for grabs, with savings of around 10-15%. These offers are open to all customers. However, exclusive to Bit-Tech readers is today's daily deal, which is for £10 off any Corsair C70 Vengeance case. Just enter the promotion code when you checkout. As the name suggests, these daily deals are only available for 24 hours so you have to be quick to grab them. And if cases aren't your thing, only yesterday you could save £15 on a Samsung 840 Pro 512GB and last week a host of peripherals were up for grabs. To keep up with the latest YoYoTech daily deals, keep an eye on this thread in the forum. Meanwhile weekly offers will be highlighted here.